Ottawa Fury FC goalkeeper Romuald Peiser has been awarded the 2015 North American Soccer League (NASL) Golden Glove, which goes to the league’s top goalkeeper. Peiser had a tremendous season between the posts, helping Fury FC capture the Fall Season title and the No. 2 seed in The Championship, the league’s four-team postseason tournament. Ottawa defeated Minnesota United, 2-1, in extra time in Sunday’s semifinal match at TD Place, with Peiser making six saves – each one bigger than the next – in the match. 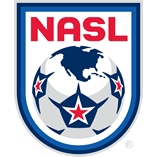 In 2015, Peiser shattered several NASL records. Playing behind the same back line for more than 20 games, Peiser compiled a 648-minute scoreless streak, earned six consecutive shutouts, 14 shutouts overall, and 15 victories -- all league records. He finished the season with a 0.76 goals against average (tying the best mark set in the NASL’s Modern Era) after playing in 29 league matches and allowing only 22 goals spread over 2,610 minutes. Peiser was named to the NASL’s Team of the Week six times in 2015 and was honored as the Player of the Month twice as Fury FC put together a streak in which they lost only one match over a 25-game stretch from early May until the end of the Fall Season. The 36-year-old Peiser, a native of France, played for teams in his home country (Troyes and Gueugnon), Germany (Bayer Leverkusen II and KFC Uerdingen), Switzerland (Vaduz), Romania (Rapid Bucharest), and Portugal (Naval and Académica) before joining Ottawa in July 2014. Peiser becomes the fifth winner of the NASL’s Golden Glove Award in the league’s Modern Era, joining Evan Bush (Montreal Impact - 2011), Daryl Sattler (San Antonio Scorpions - 2012), Kyle Reynish (New York Cosmos - 2013) and John Smits (FC Edmonton - 2014).